We all have goals that we want to achieve and visions of what we can become. This quote reminds us that becoming a champion is a process , not a single event. If you want to move towards your goals, you have to take the first step. 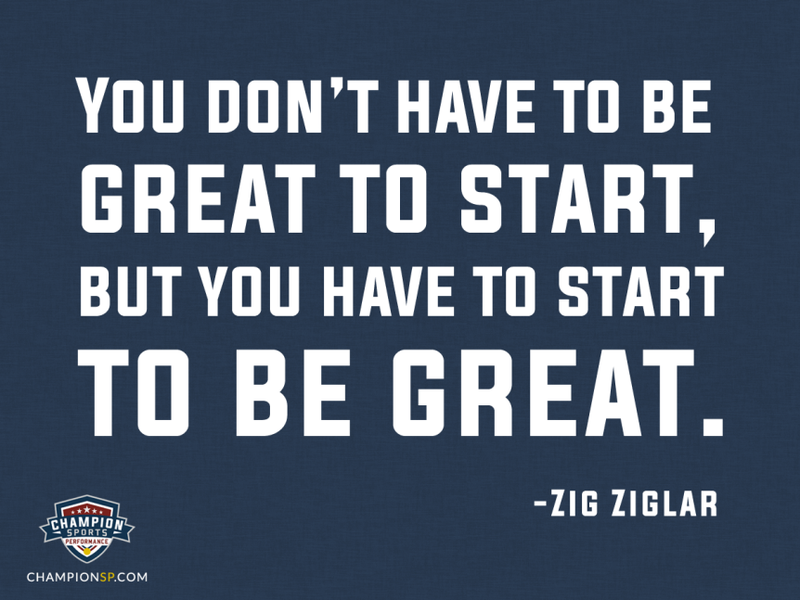 Whether your goal is big or small, taking the first step begins to move you in the right direction. If improving speed, agility, and conditioning is part of what it will take for you to achieve your goals, let’s work together to take that first step!